If you’ve read any of my previous posts, it’s no secret that I only try to use products that are free of any harmful ingredients such as parabens, sulfates, etc. (you can read my other posts on this topic here). This is especially true when it comes to bath or shower products. 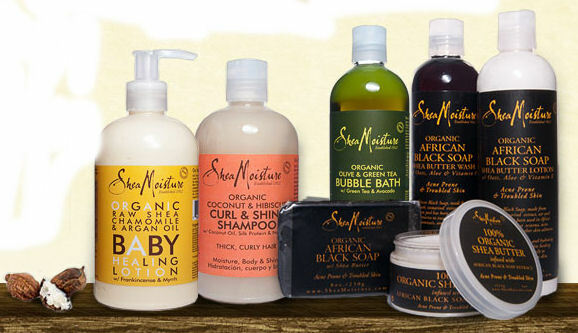 For the shower, I am enamored with the Shea Moisture products. Target has a good array of their product line and the prices are reasonable compared to other retailers that sell similar items like Whole Foods. I use the Raw Shea Butter Wash with frankincense and myrrh. It smells ah-mazing….so girly but not over-powering. And the fact that it has frankincense and myrrh…come on. I was born on the original Three Kings holiday…you know the story of the Three Kings…they brought gifts to the baby Jesus like frankincense and myrrh. Not sure what the heck they are (Googled it here) but all I know is they smell amazing. Whenever I finish showering, the whole bathroom smells soooo good. When I take off my clothes at the end of the day, after having showered in the morning, my clothes smell so clean and fresh (sorry if that’s TMI). It feels just as amazing too…it’s creamy and very moisturizing. The packaging is simple and easy to dispense. The best part? You guessed it – none of the bad stuff in it. I’m cautious when it comes to these “natural” products; a lot of companies make claims that are veiled with scientific mumbo-jumbo but never deliver. But this one I love…it’s awesome! Now that I’ve thoroughly tried and tested the wash (I’m on my second bottle…btw, it lasts a long time if you use a wash cloth or loofah), I’m going to try their shampoos and lotions/body butters next…can’t wait!